Dr. Melissa (Kah Poh) Loh is originally from Malaysia. She is currently a senior fellow in geriatric hematology/oncology at the University of Rochester/Strong Memorial Hospital in the USA. She will join the malignant hematology and geriatric oncology groups as a faculty at the University of Rochester in 2019. Dr. Loh’s primary interest is the development and evaluation of mobile health behavioral and supportive care interventions for older adults with cancer. 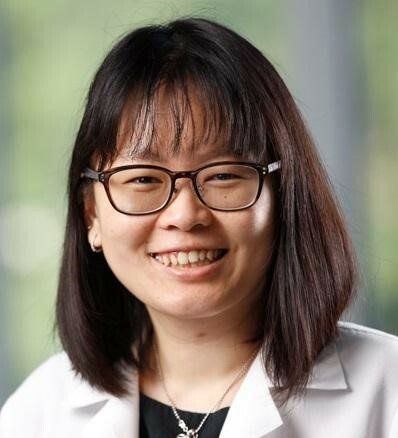 Her other interests are 1) decision-making processes in older adults with acute myeloid leukemia; 2) disease understanding in the setting of advanced cancer, and 3) utilization of critical care therapies and palliative care. Dr. Loh is mentored by Dr. Supriya Mohile, Dr. Karen Mustian, Dr. Heidi Klepin, and Dr. Wendy Stock. Dr. Loh graduated from the Royal College of Surgeons in Ireland and completed her internship and residency at Baystate Medical Center/Tufts University School of Medicine. She is also pursuing a Master’s Degree in Clinical Investigation.